Rinpoche visited Sravasti Abbey two times to teach Nāgārjuna’s Precious Garland. He did a land blessing to support Gotami House construction and made a powerful impression on the Abbey community. Born in 1930, Khensur Jampa Tegchog became a monk at the age of eight. Geshe was able to study all the major treatises in Tibet until he was forced to flee his homeland in 1959. Then he earned his Acharya degree in Varanasi, India. He was appointed by His Holiness the Dalai Lama as abbot of Sera-je Monastic University in India where he served for six years. Khensur Tegchog taught extensively in the West, including many years at Nalanda Monastery in France, and at Land of Medicine Buddha in California and other U.S. Dharma centers. Rinpoche’s brilliant teaching is captured in Transforming the Heart: the Buddhist Way to Joy and Courage , a commentary on The Thirty-Seven Practices of Bodhisattvas by Gyalsé Tokmé Zangpo and edited by Thubten Chodron. He also wrote The Kindness of Others: A Commentary on the Seven-Point Mind Training . 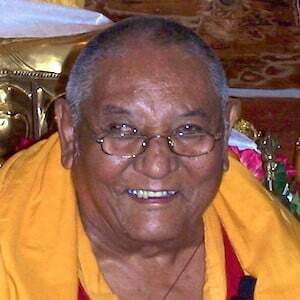 Rinpoche was also an Advisor to Sravasti Abbey. Read Khensur Jampa Tegchog Rinpoche’s thoughts on the Abbey. View photos of one of his visits.